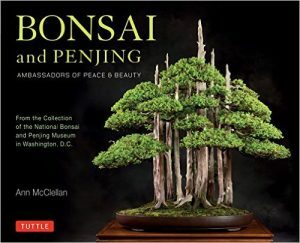 Bonsai and Penjing, Ambassadors of Peace & Beauty Receives Rave Review! “I thnk it is fair to say that all of the books I have that have been published by Tuttle are of excellent quality. However, just occasionally one finds one that is so good it ‘fair takes one’s breath away’: this book, I’m delighted to report, is one of those. . .the illustrations are excellent. That said, althought they are some of the best I have seen, they have to take second place to the text – which is superb. Throughout the book are sections headed ‘Spotlight on . . .’ covering specific individuals whose efforts have made the collection what it is today. Individuals so covered include Dr John Creech; Saburo Kato; Dr Yee-Sun Wu; John Naka; and Harry Hirao. I’d be tempted to add a ‘Spotlight’ on Ann McClellan for being the author of such a magnificent book. 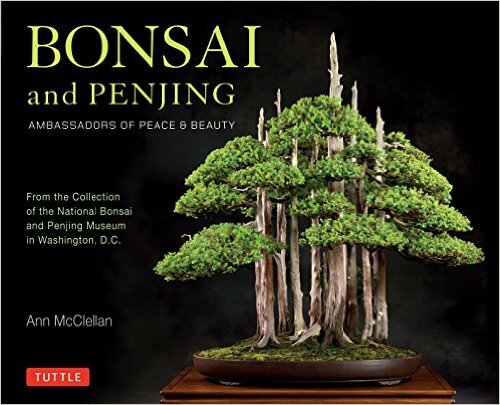 Do buy it – it will not disappoint!” — Shakkei, the Journal of the Japanese Garden Society. ← Book Events Begin for 2017!